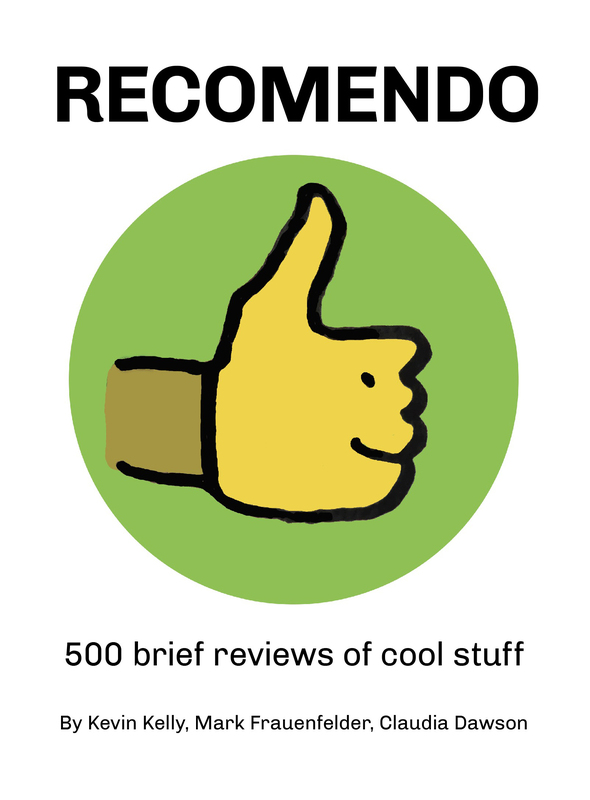 Having this little (3.5″ x 5.5″) book is like having the keys to the city of Paris. 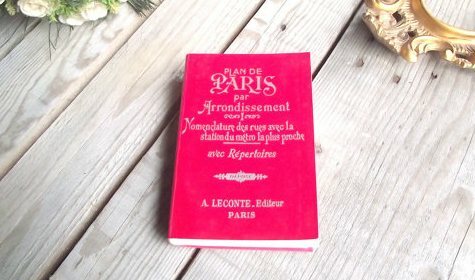 This book has detailed maps of each arrondissement (district) of Paris. It shows metro stops and train routes. I have used this book on several trips to Paris, and it’s been utterly essential. With this book, you can navigate the complex neighborhoods of Paris like a native. It’s small enough to fit in a jacket pocket or a purse, yet filled with exquisite detail. There’s a fold-out map of the whole city securely glued to the back cover. Sure, you can use Google maps, if you have a working smart phone or iPad. But this little book requires no data plan and never needs to be plugged in. But there’s something so satisfying about using this beautifully designed gem of a book. 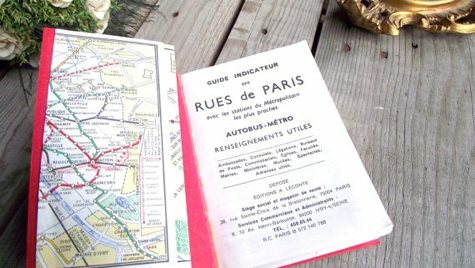 One doesn’t need to know French to use this book, since basically all you need is the street name (yes, there’s an index of every street in Paris as part of the book). 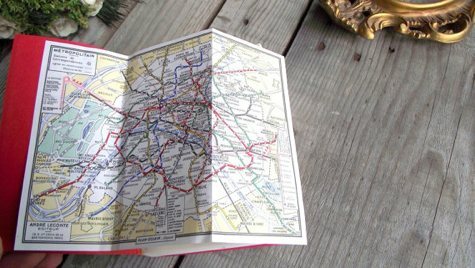 And when you get home, you can page through the book, reciting the street names to yourself, and remember your time in the City of Lights. Ahhhh, Paris!